We are in the half way mark. It’s JUNE ALREADY. But what a month MAY was! Undoubtedly, the biggest “performance” spectacle on centre stage was the election counting day May 16th for new Indian Prime Minister and his Bharatiya Janta Party. Alongside my two children, who last exhibited such excitement when Barrack Obama first won in 2008, millions were glued to their television sets, computers, and in New York City in the heart of Times Square. Times of India had taken over the iconic gigantic neon screens to over 50,000 cheering Narendra Modi supporters. And now, India has a new Commander in Chief and with him, a new wave of anti-Harvard, anti-Oxbridge, non pashmina shawl or tussar sari clothed politicians. With 25% cabinet representation being women in the BJP government, the artiste fraternity waited for the appointment of the Culture portfolio. 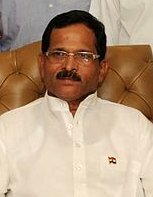 The choice went to Shripad Naik from Goa. What will the new leadership bring? For one, we hope that the largesse and favours that have so long dominated Delhi based artistes gets spread out to other parts of India. Festivals of India in China, Singapore and South Africa all decided by and with artistes based only from one city????? What is also needed is a national network of presenters, arts becoming compulsory in early education (Kerala has made it mandatory for each student to get a minimum number of hours in the arts before getting a 12th standard pass certificate) and employment opportunities for graduates from performing arts organisations. There are many more issues to be addressed but for now, a pro-active government which does not look at the arts merely as convenient double-speak of “soft skills diplomacy” while practicing stepmotherly attitudes will be welcome. Meanwhile, the month of May continued to sizzle. At a time when rehearsals and performances were halted for a respite from the searing heat, summer dance and music workshops sprouted everywhere. In Chennai, the ABHAI sessions, led by dancer Chitra Visweswaran, were a runaway success, with the most engaged and talented students enrolling from Trichy, Madurai and Coimbatore. A detailed report is carried by dancer Priya Murle in this newsletter. May also witnessed the launch of the Kalakshetra Alumni Association. In the cool environs of an old house that is now called Amethyst Cafe, 20 former students from Singapore, London and around India met to formally inaugurate the organisation in Chennai. Blessing the day with their presence were four beloved Kalakshetra veterans, gurus A. Janardhanan, C V Chandrasekhar, Jayalakshmi and Balagopal. Squeals of delight filled the room as old students met one another after 30 years or more. London based Stella Uppal’s delighted voice was the loudest, recalling the days of being a student in the Kalakshetra hostel. A warm and lovely morning for all who were nurtured under the Banyan tree. With Kalakshetra having returned from a successful China tour, the institution is once again under scrutiny since its Chairman has resigned after the election of the new BJP Government. Heads of many cultural institutions who were appointed by New Delhi’s UPA/Congress led government have also put in their resignations and perhaps more will follow. On a lighter note, we share this lovely video clip from China. While watching a session at the ABHAI Bharatanatyam workshop, I was struck by how many avatars this one dance form has sprouted. One morning’s newspaper carried large advertisements for actress/dancer Shobana’s new production. It showed a lycra tights and Bharatanatyam fan wearing Shobana, hair flying in the wind and dance jewellery on head and ears. She was holding a sort of Nataraja pose. Tickets for her new show titled SAMADHINA were priced starting at rupees 1000 and up and were sold out a week before the show. Hoardings on buses and bus stops, multiple sponsors, a recorded score that included Bach compositions and jathis, loud lighting, excellent group choreography, and excited crowds that held their breaths and burst into a wild applause when Shobana entered with her elan made for a rock concert like atmosphere. The show was a runaway success but would have made many a purist shudder. 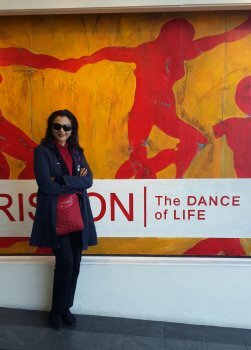 Does Shobana care? Of course not! She has stated time and again that she pays little attention to critics and anyone who dislikes her style of dance and choreography. Her first duty is to her audience and fans who support her and not the English language media. Her own home is painted a purple and yellow and is unmissable for anyone who drives by a quiet section of Chennai. A true reflection of the multiple roles that this award winning actress and dancer assumes in her award winning career. She told writer Chitra Mahesh of THE HINDU that she does not take MONTHS to create a show, but DAYS to put elements together. I have known musicians who shared their amazement at having rehearsals with her “over the telephone” and assemble a day before the actual concert. WOW. Such confidence! Or over confidence! Now, if only Shobana could make her dancing less lazy, her onstage charisma would surely be heightened. Nevertheless, she remains an enigma. A favourite of many December sabha seasons, her shows are always sold out and her DVDs are on a pre order status. Her website describes her choreography as “classical restraint and formalism” and created for “lovers of the avant garde.” If this writer disagrees, the dancer surely does not blink. But to each their own, I think. If we just look at the vast range of national awardees for Bharatanatyam in recent years - Jamuna Krishnan, Herambanathan, Priyadarsini Govind and Narthaki Nataraj, their styles could not be more different or contrasting. Just shows how many versions of Bharatanatyam have sprouted in India and beyond. What direction do dancers take if they are not able to keep up with the pace and unforgiving demands of a professional performing career? This is a serious question that many from the PADME project are asking me. While I demand a professional attitude from the selected 8, each of them is grappling with the question of money. All in their twenties and several equipped for lives in the corporate world, dance pulls them into the vortex of endless debt and low morale. Whatever money they are paid for the weeks of rehearsal leading towards the premiere on August 9th in Bangalore, the time and energy spent in dance can never be equated to a regular salary. My 25-year-old son earns more as a new media strategist than a 50 year old senior dancer performing at one of the numerous state government festivals. Should not dancers concentrate on cultivating an inner and outer life that sustains BOTH body and the spirit? Then what happens to the traditional view that this new breed may not be considered as “full time dancers?” Can we actually expect the next generation to continue in a life totally committed to dance while their school mates seem to be enjoying the material trappings of a “better life?” For how long can the argument that “dance is not about money but about inner harmony - blah blah blah” hold? When dancers morph into choreographers for reality shows and TV dance competitions, their lustre is immediately dimmed before a stern committee who will disqualify them as not being “fully committed” to dance. The spaghetti loops continue to spiral endlessly into non-stop theories. Meanwhile, our young men and women are seeking creative alternatives to sustaining and monetising their passion for dance. One dancer who has signed out of the “rat race” and found a path for her dance passion is Nalini Prakash. This brilliant student of Sudharani Raghupathy is now a successful dance therapist in Washington DC. Once hailed as the successor to Malavika Sarukkai, Nalini works with war veterans and challenged individuals, bringing together her dance qualifications and degree in Therapy. Over dinner at a charming Ethiopian restaurant in Georgetown, Washington DC, she shared her satisfaction in finding this career path and having little regret about not being an active performer. Also in conversation that evening was Vijay Palaparty, a corporate and Kuchipudi dancer. Vijay has an organisation called THE SPILLING INK PROJECT that has a small group of dancers who work closely towards creating interesting projects inspired by Bharatanatyam and Kuchipudi. Both dancers were candid about the almost futile psychological and emotional turmoil full time dancers experience. The constant insecurity, paranoia, narrowing creative band width, lack of general knowledge and a tunnel vision view of what dance is – performance, performance and more performance. And the endless rounds of reviews, wooing critics, paying for opportunities in India and the nexus between middle class professionals in the diaspora with their own retro beliefs about classical dance and “authentic” Indian culture. Vijay and Nalini found their own “way out” of this rigmarole and more dancers will do so – abandoning dance as a career and opting for more lucrative avenues of choreography for film and television and the never ending demand for Bollywood and Dancercise - leaving a yawning hole in what was once a richly populated field of artistes, who lived, breathed and dreamt the dream of DANCE AS LIFE! May saw the risky dance project SKIN being premiered in Toronto BUDDIES Festival. Choreographed by my favourite collaborator and friend Hari Krishnan, this provocative dance offering brought Bharatanatyam and modern accents to a Gay Rights arts festival to sold out crowds and cheering fans. We bring you images and a short report in this edition. That Bharatanatyam has been able to accommodate so many viewpoints and remains the most practised, performed and recognisable Indian dance style the world over should be a proud moment for many. I am an avid TV watcher and often lament at the pathetic – yes, pathetic shows that are broadcast on the culture channel DD BHARATI. Surprisingly, I chanced upon the old videotaping of Chandralekha’s LILAVATI. Beautifully shot and supervised by Seetha Ratnakar, sister of Houston based dancer Rathna Kumar, it was adapted for the television cameras and wonderfully danced by Chandra’s faithful ensemble led by Geeta Sridhar. I remember a breakfast conversation with artist Dashrath Patel and cultural theorist Sadanand Menon in Kolkata one morning. Both were in the inner circle of the famed choreographer and “slaved” (using Dashrath’s words) for hours to get the right look for the prosaic Doordarshan television cameras. It worked. Now, if only Doordarshan would spend the kind of time they once did to document and return the much lauded NATIONAL PROGRAMME OF DANCE to prime time. It is a different world now and with 400 channels to choose from, classical, contemporary, folk and tribal dance programmes need to have fixed time slots, and an interesting host to attract a large viewership. Meanwhile, YouTube continues to be the GO-TO place for all matters relating to dance history. With social media becoming the first choice of so many performing artistes to connect and share information about their lives and art, I am constantly surprised at the large number of young dancers and musicians who wish to connect with me. They are friendly and generous, offering to host and organise workshops if I visit their cities from Kiev to Hong Kong, Azerbaijan to Cape Town. They are almost universally classically trained dancers who are seeking to widen their dance horizons. Which brings me to the latest Facebook message from award winning mridangist BC Manjunath of Bangalore. He is presently in Grenoble, France, as the only Indian in the international grouping from Spain, Belgium, UK and France - rehearsing for Akram Khan’s latest production TOROBAKA. The production will tour India in 2016 and Akram’s fans will look forward to the date eagerly. May was my birthday month. Another day, another year, another milestone crossed. Between intense pampering from my children who gifted me an all day spa package and lovely jewellery, I finally felt like MISSION ACCOMPLISHED. Single mothers who are dancers find themselves in a double bind. Dance focuses the eyes on the dancing body. A mother’s body is not supposed to be on full view of curious devouring eyes. My children grew up feeling ambivalent about what I did for many years until they each chose a creative path. NOW they realise the pulls and tugs of artistic isolation, of creative blocks and judging minds. In spite of all the international travelling and ovations, awards and praise, media glare and cover stories I always look forward to coming home to the gentle assurance of healing hands on a tired body. My all time favourite gift is and always will be – a great massage! Congratulations to the Bismillah Khan Yuva Puraskar national awardees for dance, music, theatre and folk arts…the journey has just begun! So, as the year hurtles towards the longest day of the year – June 21st – I wish your creative fires burn brighter than ever. While many return from their holidays and others begin to plan theirs, I wish you all safe travels and many more hours of healthy dancing, watching, reading and dreaming.